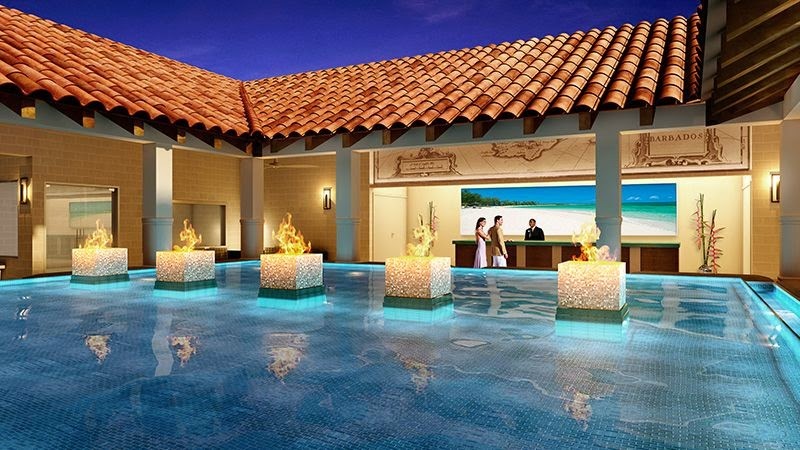 Following an extensive renovation project that closed the resort for almost a full year, the resort re-opens today, January 28, 2015, as the new luxurious Sandals Barbados! 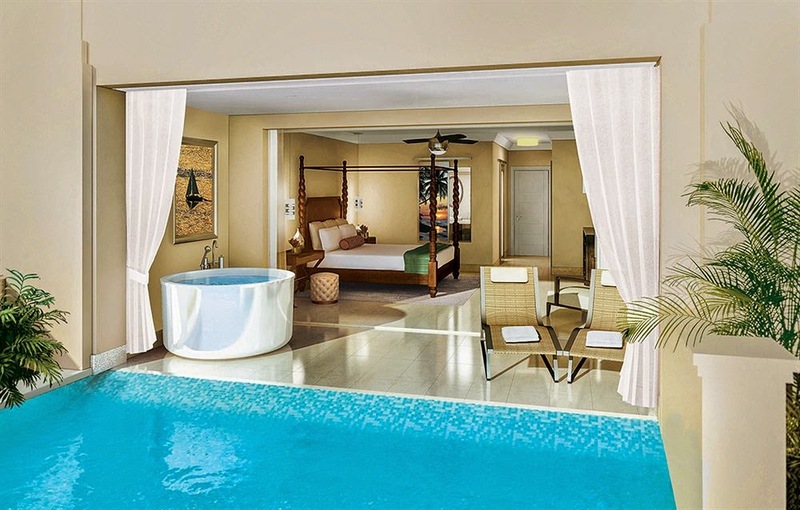 The resort now features a selection of 280 luxury accommodations set within three distinct villages: Ocean Village, Crystal Lagoon Village and Caribbean Village, that range from opulent beachfront butler suites to new swim-up river suites situated in the resort’s lush tropical garden. 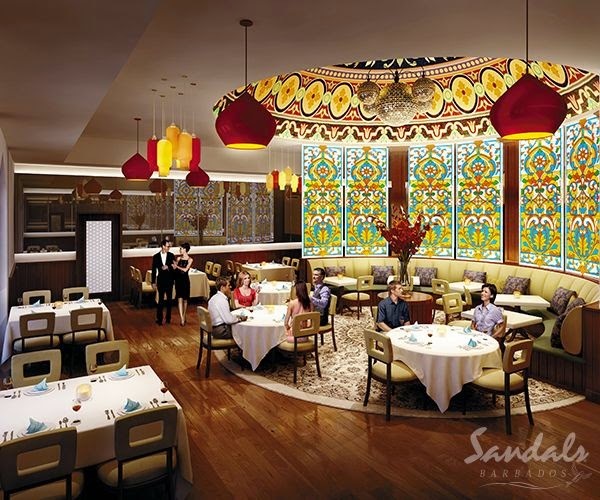 The resort offers 11 Discovery Dining choices that span the globe from French Brasserie at Bayside and Japanese Teppanyaki at Kimonos to a world class steakhouse, Butch’s Chophouse, and the brand’s first ever Indian restaurant, Bombay Club. 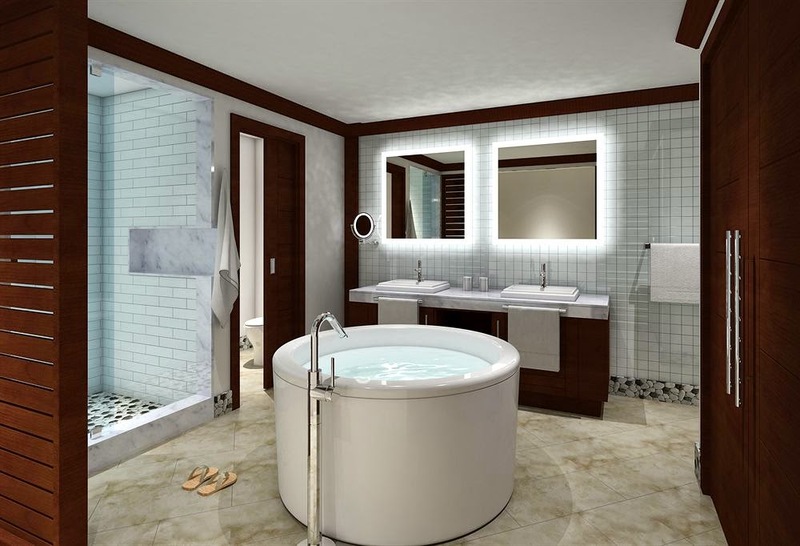 New contemporary furnishings have been added throughout all rooms and suites including mahogany four-poster beds, flat-screen televisions, lavish bathrooms, and luxurious indoor and outdoor soaking tubs. 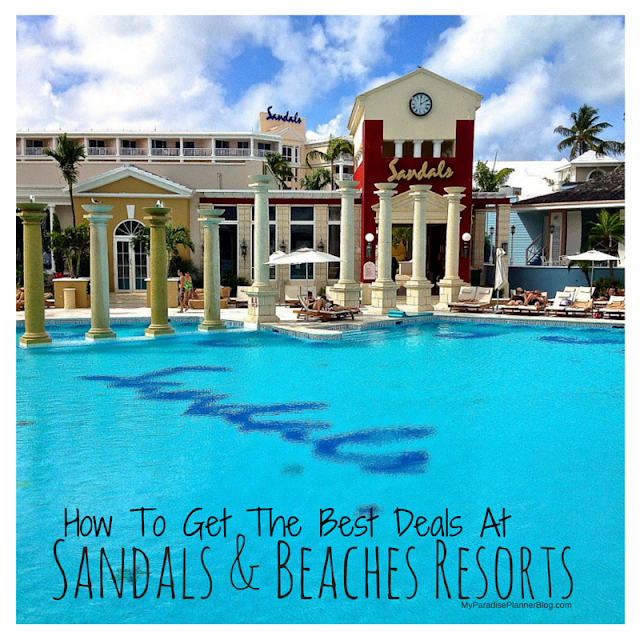 The Sandals’ exclusive Red Lane® Spa includes six new treatment rooms. 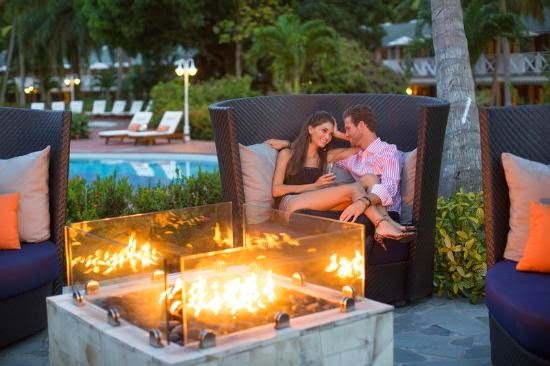 Sandals Resorts hasn't forgotten to include their signature fire pits, adding to the romance of the property. They've also added additional bars serving premium brand spirits, including Appleton Jamaica Estate Rum, and Sandals Resorts’ newest partner, Robert Mondavi Wines. For water lovers, the resort has added an oceanfront main pool with swim-up bar; expansive whirlpool; reflecting pool with fire pit in the lobby; river pool accessible from swim-up suites and additional whirlpool in the resort’s gardens; state-of-the-art fitness center and much more!